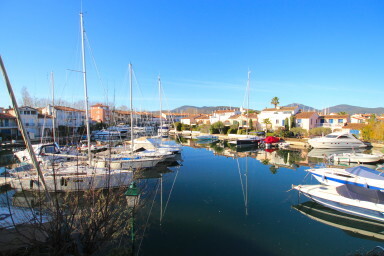 Charming 2-room apartment on the main place of Port Grimaud South. It is located on the 1st floor of a building with a lift and has an outside entrance with a beautiful view on the place. It is composed of a living-room with a kitchenette, a bedroom, a bathroom and separate toilets. A loggia on the canal side to have diner with the sunset. A cosy pied-à-terre for relaxing holidays.